Carmen Miranda was a famous film star in the 1930's. She wore many fruity head pieces. 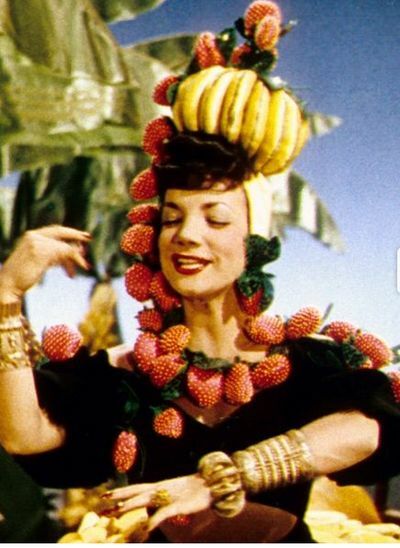 Draw out Carmen Miranda in her fruit hat. Paint in her face, then her hat/ turban. Leave to dry. Paint in fruit and flowers at the same time, let the watercolours run into each. More fun to see how flowers and feathers look when the colours run. Paint in eyes and earrings last.